Flower bulbs are incredibly forgiving. This fact is driven home to us every year, when we start planting fall bulbs in our New Jersey trial garden. 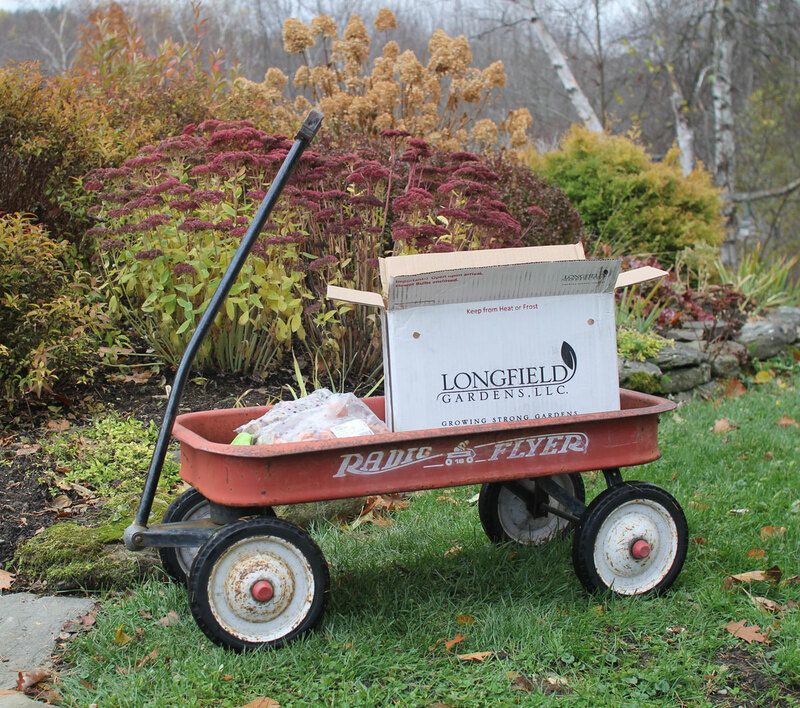 We always intend to get this project underway sooner, but have accepted the fact that for us, planting rarely happens much before Thanksgiving. From September through early November, we are consumed with processing orders and managing inventory. You have probably been busy with your own work commitments, school, social and sporting activities, house projects and gardening tasks. Planting bulbs just keeps sliding down the list. Our trial garden has been filled with summer bulbs and hardy perennials that just don’t want to quit: dahlias and cannas, elephant ears, heuchera, clematis and daylilies. 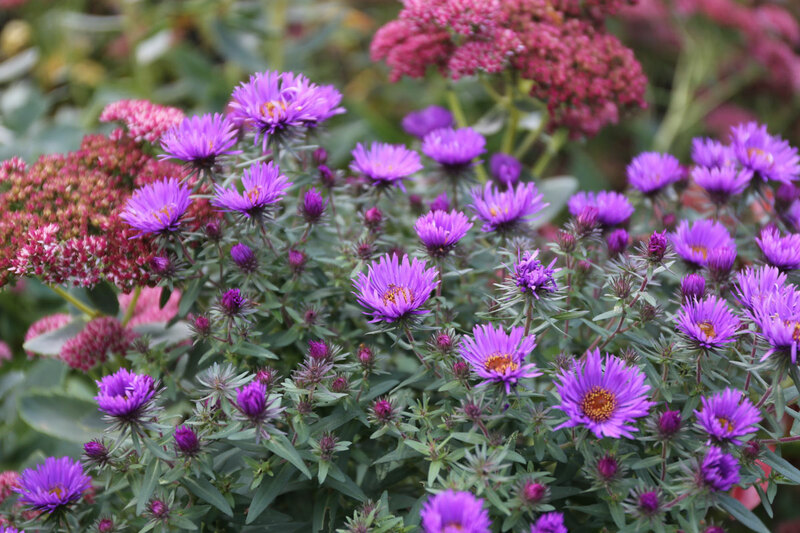 We also have shrubs with colorful fall foliage, ornamental grasses and lush ground covers. When the gardens look good and there are other things that need doing, it’s easy to leave well enough alone and wait for a killing frost. 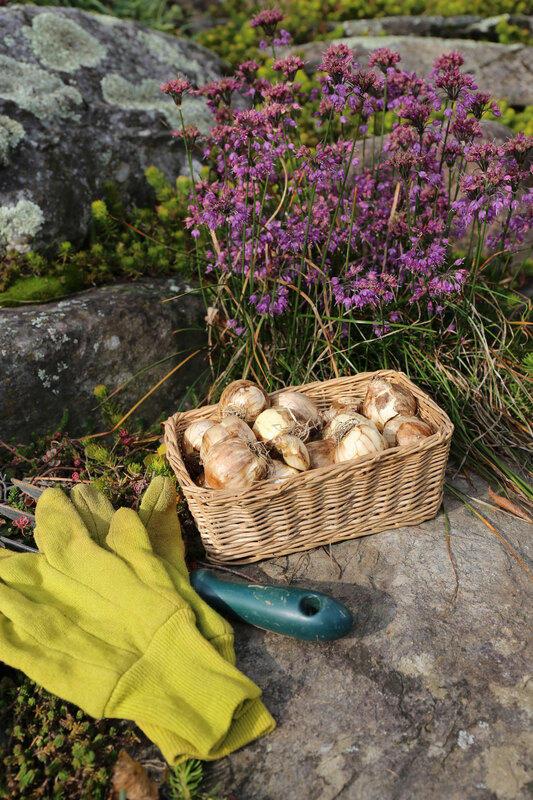 In our trial garden, we are fortunate to have plenty of room for planting bulbs. The challenge is choosing which bulbs to plant and how to combine them. We have our favorites, but also want to make room for new varieties and new combinations. 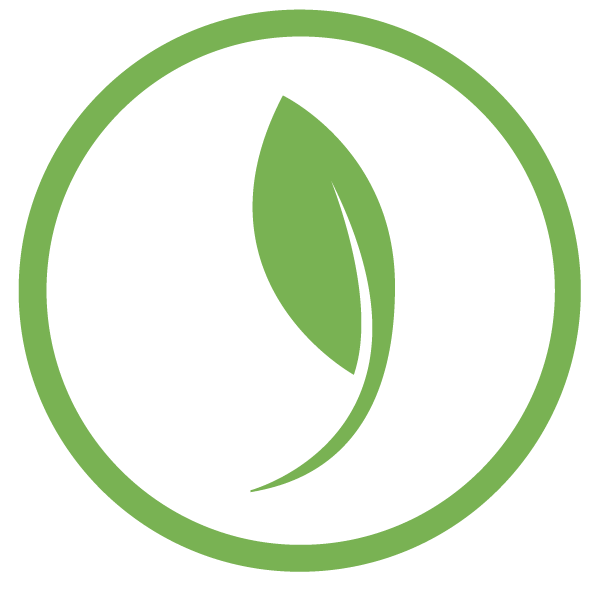 Once the plan has been finalized, the planting part always goes quickly. 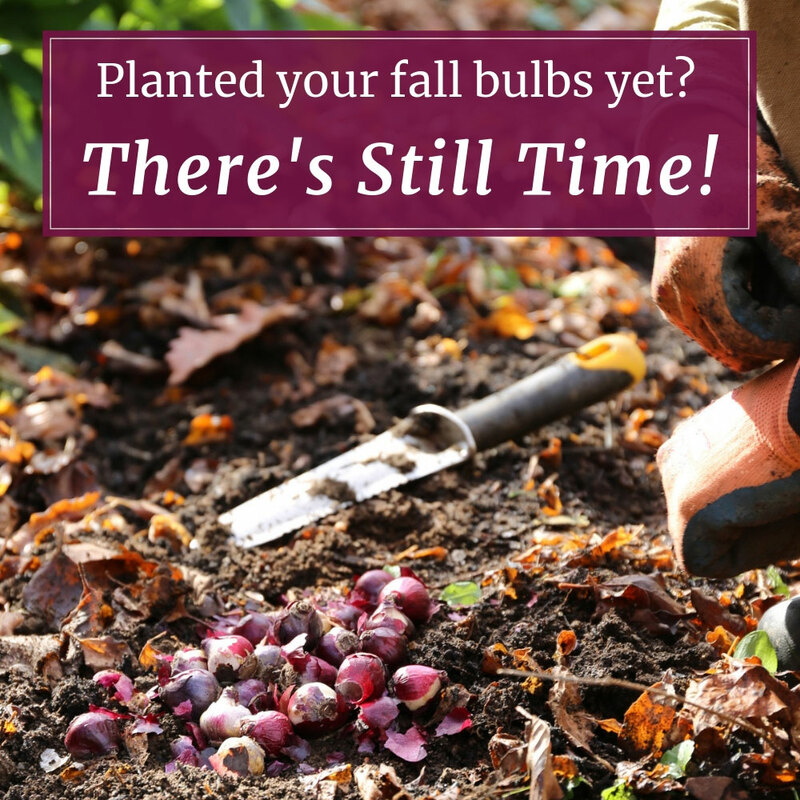 If you haven’t purchased bulbs yet — or think you may have room for a few more — we usually have a good supply of them right through November. 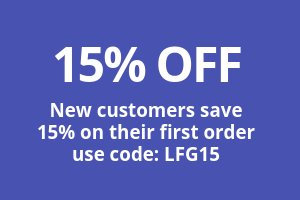 And at this time of year, your order will usually go out the following day. To make the decision process easy, consider choosing a collection, color mix or one of our bulk buys. 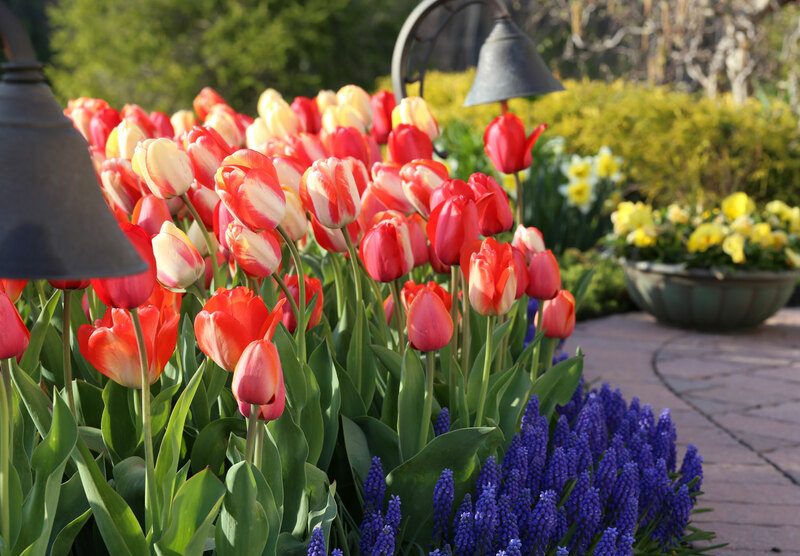 If you are still in planning mode, reading one of these articles may be helpful: How to Plan a Spring Bulb Garden and Landscaping with Spring-Blooming Bulbs. Our Bloom Time Chart is another useful planning tool. I usually place at least three orders for fall bulbs. The first one happens in August, when I reserve any new or special varieties that may sell out early. This way, the bulbs I want are reserved with my name on them until they’re shipped in late September. The second order gets placed in early October, once I actually start to plant. This is when I realize I forgot a few things or didn’t order enough of something to get the desired impact. The last order usually happens in November, when I’m also ordering amaryllis. The fall bulbs are already in, but November is a great time to pick up some end-of-season “bonus” bulbs to plant in the cutting garden, add to naturalized areas and put in containers for indoor forcing. 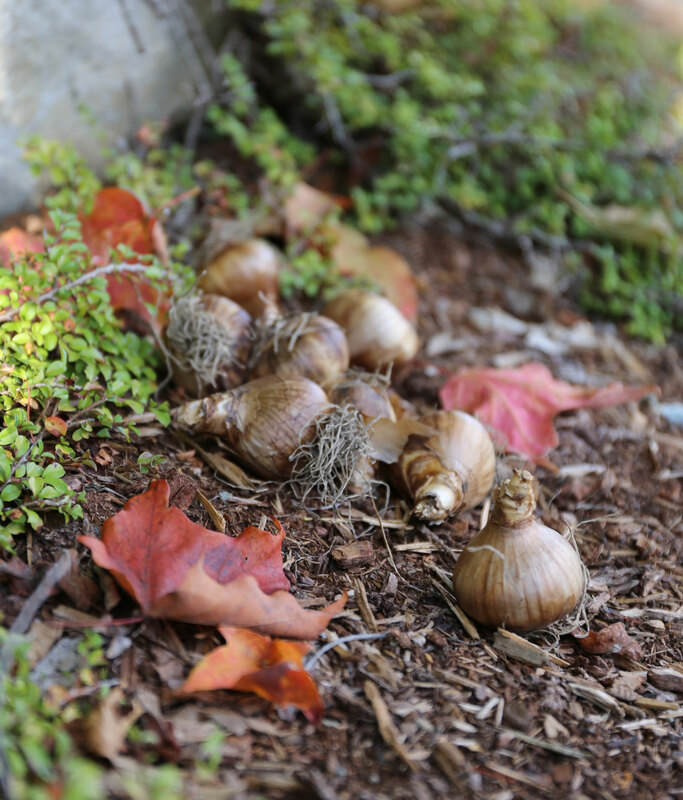 If you garden in zones 6-8, there’s really no reason to plant fall bulbs much before Thanksgiving. All they need is a couple weeks to get their roots established before going to sleep for the winter. If you live in a colder climate, waiting until November means you’ll need to bundle up and wear insulated work gloves. But you can still plant flower bulbs even when the top inch of soil is frozen. Not fun, but I’ve done it. So don’t put away your trowel and gardening gloves just yet. Next spring, when your yard and garden are filled with colorful flowers, you (and everyone who passes by) will be so glad you planted lots of bulbs! Our end-of season sale starts Saturday and will run until early December — while supplies last! I’m going to save this so I can refer back to it EVERY year! Hi Mark, here are two suggestions. You can pot the bulbs and follow instructions for forcing them indoors, which you will find here: How to Force Bulbs for Indoor Flowers. Then you can either enjoy the flowers indoors or plant the pot of bulbs outdoors in spring. Gardeners in warm climates typically chill their spring bulbs indoors for a couple months at 40-45 degrees and then plant them outdoors in the spring. It’s not the recommended practice for northern gardeners, but it’s definitely worth a try. 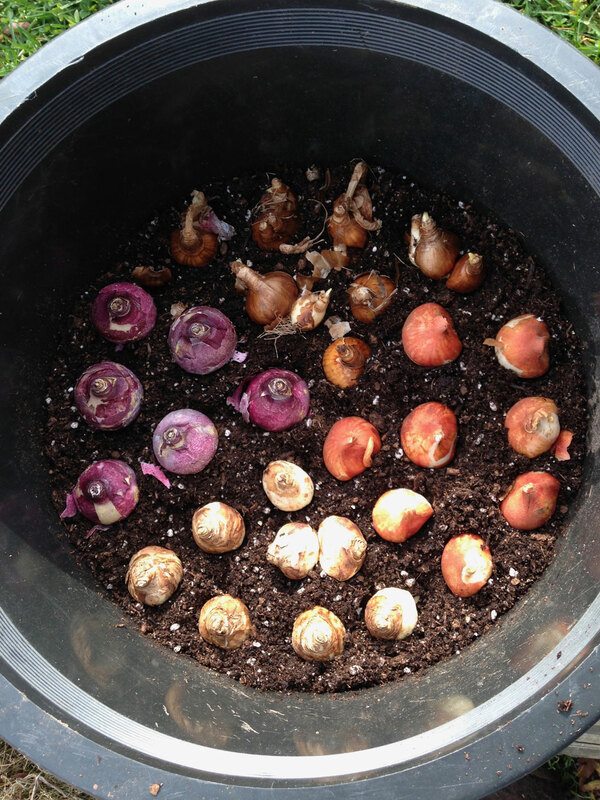 Follow the instructions here: How to Grow Spring Bulbs in Warm Climates.